“You never think something like this is going to happen close to home // “These people in small communities // they leave their doors open at night. They trust people,” said one local. Sutherland Springs is said to be a tight nit community and home to fewer than 900 residents. “This act of evil occurred as the victims and their families were in their place of sacred worship. We cannot put into words the pain and grief we all feel […] Through the tears and through the sadness we stand strong… oh, so strong”. 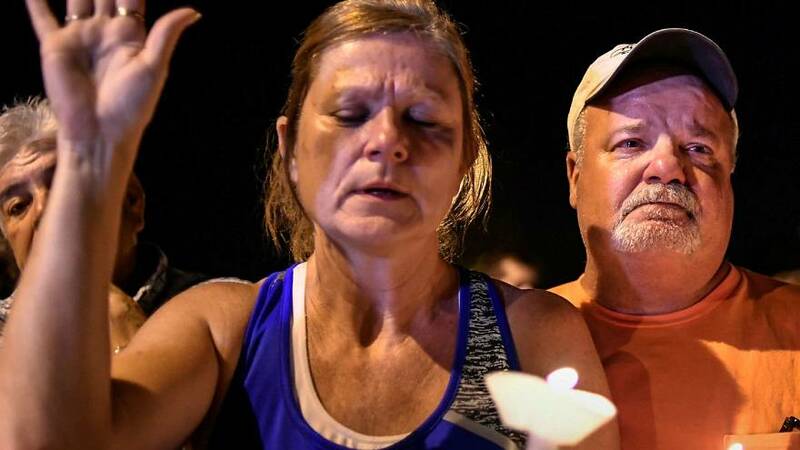 After the shooting the gunman, who has been unofficially named as 26-year-old Devin Patrick Kelley, fled the scene in his vehicle but not before a local reportedly shot at him with his own weapon. Soon afterwards the suspect crashed his car and was found dead inside with a cache of weapons. The local governor has announced flags will be flown at half mast as a sign of respect for the victims. The shooting occurred on the eighth anniversary of the Nov. 5, 2009, massacre of 13 people at the Fort Hood Army base in central Texas. A US Army Medical Corps psychiatrist convicted of the killings is now awaiting execution.